When I decided to eat a vegan diet, the biggest thing I was worried about was what snacks would I have?! I could cope with what I would have for my meals and as I adjusted I have a lot of meat replacements but the most difficult transition was snacks. I didn’t want to just eat fruit, I wanted to try different crisps or biscuits and things. 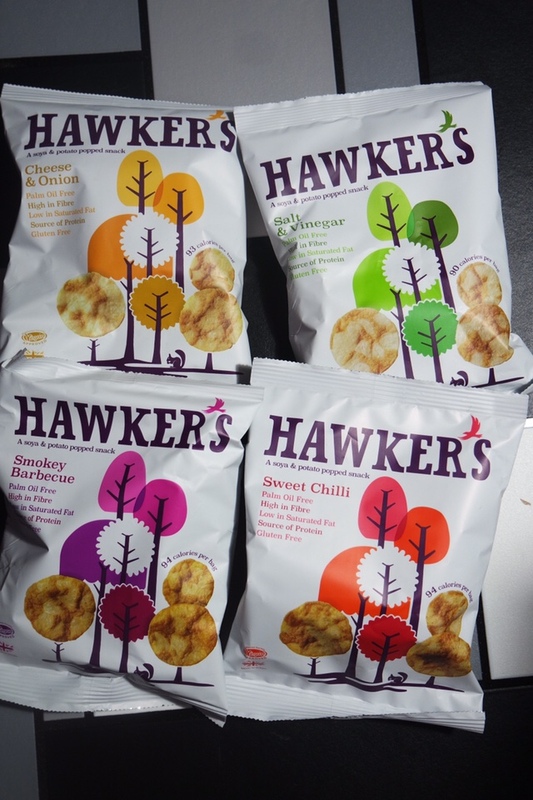 Hawkers very kindly sent me a few bags of their soya and potato snacks to try. They come in a great range of flavours: cheese and onion, sweet chilli, salt and vinegar, smokey barbecue. They are all gluten free as well which is great as I know a lot of people that suffer with gluten allergies. They are all less than 100 calories per pack too so make a great snack for between meals. I find I always get hungry about 3pm at work and want something that will keep me going until dinner time so these are ideal to keep in my draw at work. Do you have a go to afternoon snack? The sweet chilli ones sound really good! Mmm, those sweet chilli ones sound super yummy! I’m so bad for snacking so maybe I will try these out as they are the healthier option! Sweet chilli sounds good! How many calories they have? Would love to try these snacks!